Should I Consider Transracial Adoption? Everybody knows that the best way to decide to add a new family member through adoption is to choose whichever baby is cutest from the catalog, right? (Laugh now, I have had people express this idea to me, i.e. “you should get a ___baby, they are the cutest!”) Since the stork isn’t actually delivering baby mail, it can be difficult to sort through all of the choices at the beginning of the adoption process. One question that can stump hopeful adoptive parents is whether or not they should consider adopting outside their race or nationality. 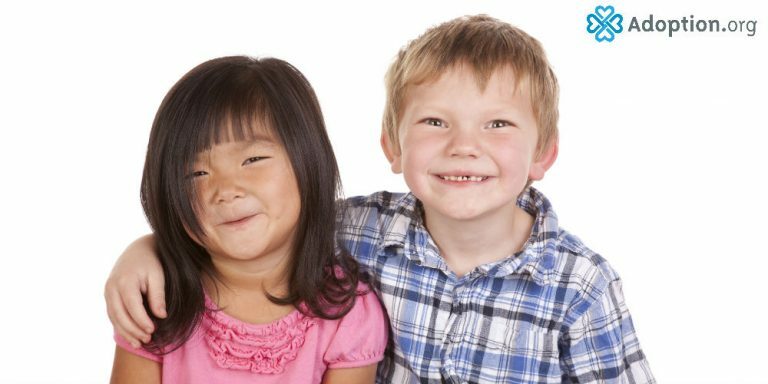 While I would never tell you how or where to find your forever family—that’s your journey to take—here are three things to consider about transracial adoption. Mirroring is important to all children. Are there other people in your circle of friends, your extended and immediate family, your neighborhood that share the same ethnicity, race, or color of skin as the child you want to adopt? Study after study tells us that children do best when they can see themselves in their surroundings. Your love is all-encompassing, but if your kid can’t see himself he will notice. Many adoptive families have moved to neighborhoods that better reflect all of their children’s colors, or have changed school districts to ones that were less homogeneous. Their ethnicity is a permanent trait. Are you prepared to explore the parts of your child that didn’t come from your nurturing? If your son is of Chinese ancestry, he may want to know more about his heritage. If your daughter is half-Mexican how will you teach her about her culture? Just because they may live in your Melting-Pot of a family doesn’t eliminate their individual heritage. Keep your fighting stance at the ready. You will never understand how pervasive racism can be in America until you have a child who is not your same color. If you are not comfortable cutting ties with friends who can’t stop using the N-word, for example, you may want to consider postponing a transracial adoption.